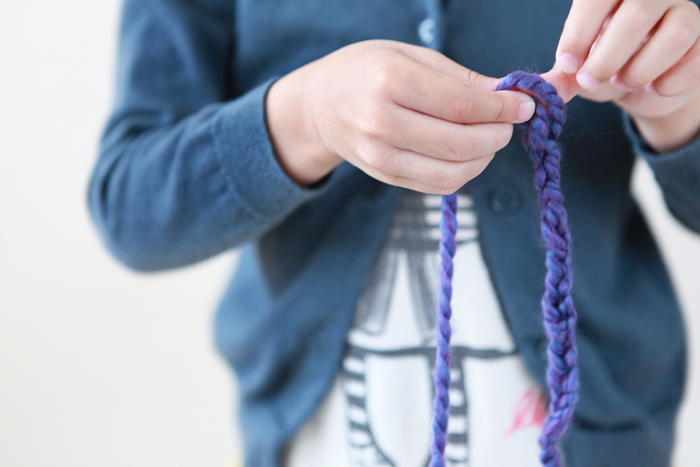 We've been wanting to learn how to finger knit (or maybe it’s technically finger crocheting?) since the summer, but it wasn't until recently that we actually got around to doing it. 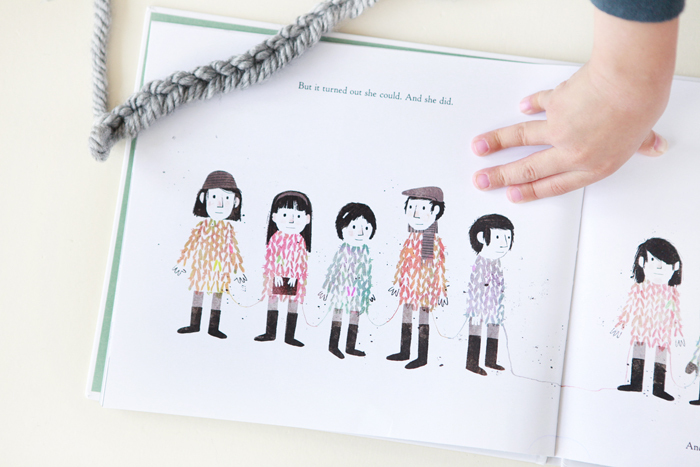 A reading of Extra Yarn paired perfectly with some knitting to make a cozy afternoon. 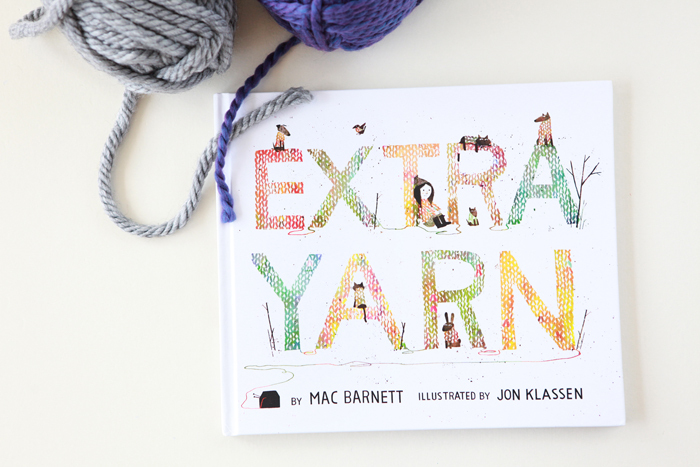 Extra Yarn, written by Mac Barnett and illustrated by Jon Klassen, is a heartfelt yet clever and humorous story about how a little girl turns her gray town upside down with a special gift. I personally was taken with the book's intriguing ending and masterful use of color, which played a key role in bringing the story to life. 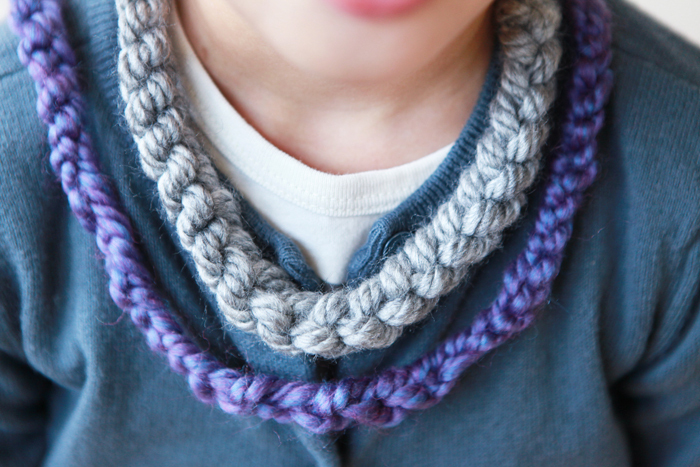 One of the first things Avery wanted to knit was a scarf for her little stuffed giraffe, and from there, has gone on to make necklaces, bracelets and rings. I'm hoping to teach her some other knitting/crocheting techniques (which I need to try to learn first). 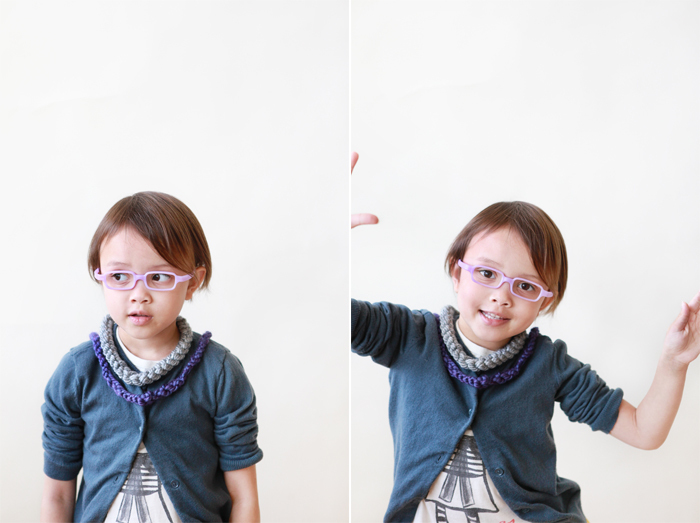 Knitting time with Avery has been nice and relaxing, with snippets of conversation woven into our time together. I love how she gets really focused when she knits and how she knows it's a calming activity. 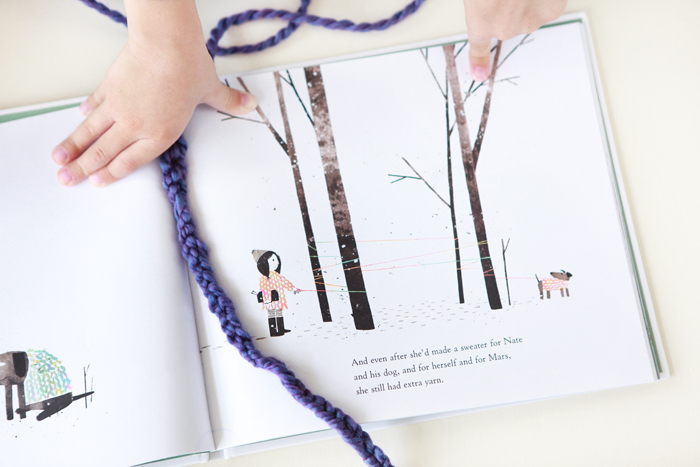 Some of the websites we used for knitting references are: Flax and Twine, Classic Play, Frontier Dreams and Adventures of a Rainbow Mama. I found HeyJenRenee’s video to have the clearest instructions on how to finger knit. Happy knitting, everyone!